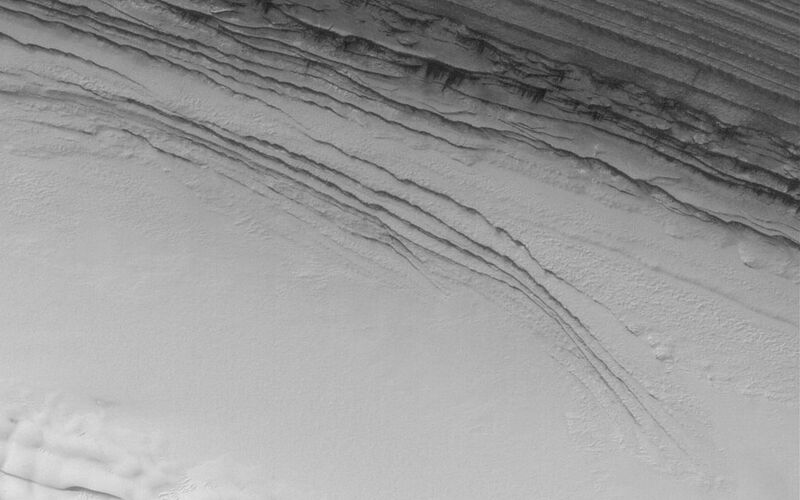 The arrows (see Figure 1) in this July 2004 Mars Global Surveyor (MGS) Mars Orbiter Camera (MOC) image indicate the location of an unconformity in the layered sequence of the martian north polar cap. An unconformity is a geologic term that indicates a break in the depositional record of a sedimentary deposit. In this case, the change is recorded by the presence of a series of polar layers that are truncated (cut off) along the line of arrows. 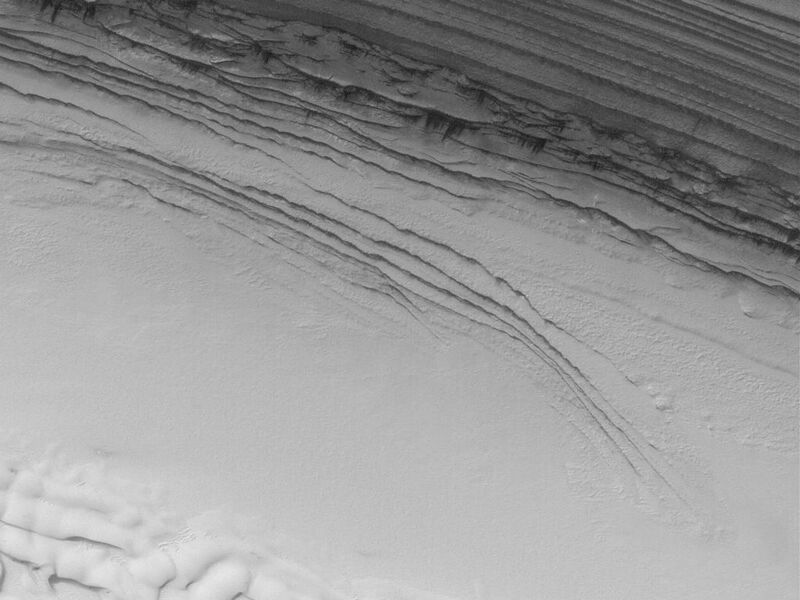 The erosion that cut these layers along a gentle slope were later covered by a new set of layers that occur from the arrow tips upward to the top of the sequence shown here. The image is located near 85.2°N, 7.3°W. 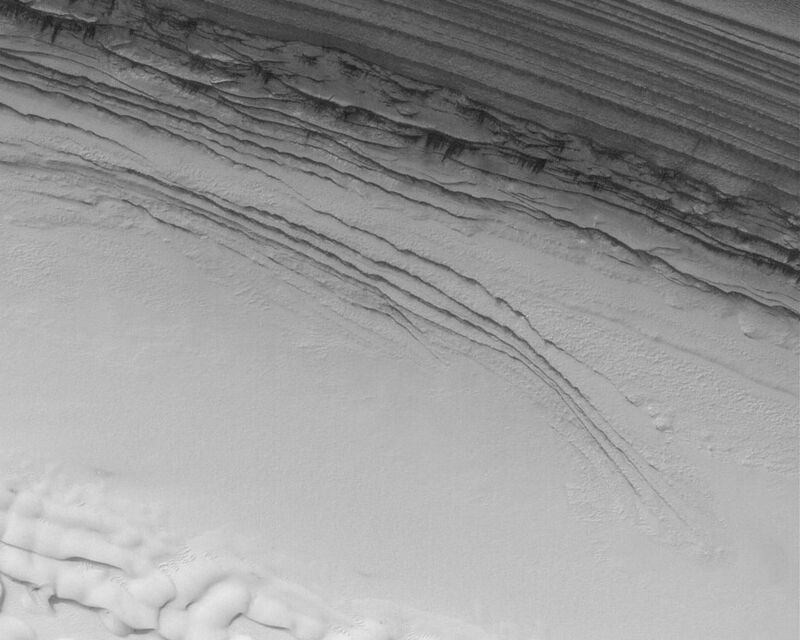 The bright features in the lower third of the image are frost-covered sand dunes. The image covers an area about 3 km (1.9 mi) across and sunlight illuminates the scene from the top/upper right.